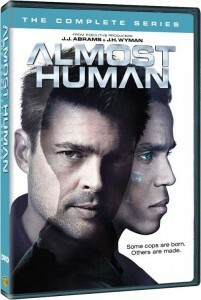 In this action-packed show set in 2048, a worse-for-wear cop teams up with a second-hand synthetic android to fight a strain of urban crime that’s evolved in ever more frightening ways. Detective John Kennex survived a catastrophic attack on the city’s police department that cost him nearly everything. Returning over a year later, he finds the transition difficult. Not only does he suffer guilt for the lethal ambush, but department policy now requires that every cop be paired with a highly evolved human-like android partner. Rejecting policy, Kennex reinstates an outdated Dorian android – whose somewhat dysfunctional platform is based on a “Synthetic Soul” program, allowing it to have emotional responses. It’s this flawed humanity, however, that connects Dorian and John. And together, they set out to keep the city safe, uncover the criminal conspiracy that threatens to destroy their world…and find their common humanity. This is a 3-disc set featuring all 13 episodes of the series. It has an MSRP of $29.99.